Steve Smith's release after the 2013 season forced the Panthers to add depth at receiver, which ultimately helped them lead the NFL in scoring in 2015. Kansas City is looking to get more production from their wide receivers other than just Jeremy Maclin. After tagging Eric Berry, what's next for Chiefs? Ranking the Chiefs' potential free agents from 1 to 14, based on how important they would be to the 2016 team. None of the Eagles' top three receivers have more than two years of NFL experience after the team let go of veteran Riley Cooper on Monday. Let's take a look at which potential free agents on the Chiefs will be most attractive to other teams. Besides Sammy Watkins, what's the Bills' plan going forward at wide receiver? Will they look to free agency or the draft? What do Chiefs do now that Doug Pederson is gone? With former offensive coordinator Doug Pederson off to Philadelphia to coach the Eagles, how will the Chiefs cope with his loss? The Chiefs are scheduled to have 15 unrestricted free agents when the signing period begins in March. The Chiefs accomplished much this season, but the 2015 campaign will be even more successful if they apply the lessons learned from Saturday's loss. The Chiefs had all the answers during their 11-game winning streak, but they ran into a superior opponent who knows how to get things done. 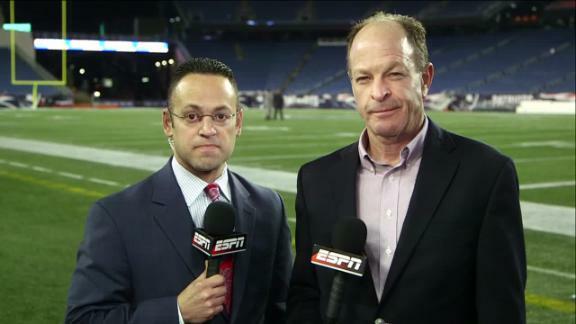 The loss Saturday at New England was more about what the Chiefs didn't do than what they did. Ex-Chiefs Shawn Barber and Ricky Siglar are tasked with making sure that the uniforms and attire of the Chiefs and their foes comply with NFL policy. The Kansas City Chiefs listed starting wide receiver Albert Wilson as being a limited practice participant on Wednesday. A year after not recording a touchdown reception, the Kansas City Chiefs' wide receivers are off to a very slow start in 2015. All 53 players on the Chiefs' roster should be ready to play Thursday against the Broncos. The Chiefs will arrive in Houston in good shape. Nine of the 11 players they have listed on their injury report were probable. Chiefs nose tackle Dontari Poe was a full participant in practice on Wednesday, improving his chances of playing Sunday. One of the stars of training camp, Chiefs first-round pick Marcus Peters heads a deep group of cornerbacks and safeties. Adam Teicher had 50 of the 53 players on the Kansas City Chiefs' opening-week roster correct. He explains where he went wrong on the other three. THe Kansas City Chiefs cut 19 players Saturday, including WR Fred Williams. Here is a position-by-position look at who stays when the Kansas City Chiefs make their final cuts. Here are the snap counts for the Kansas City Chiefs from Thursday night's 24-17 win against the St. Louis Rams. NFL Nation Chiefs reporter Adam Teicher: I've added a seventh wide receiver (I can no longer deny Fred Williams a spot).